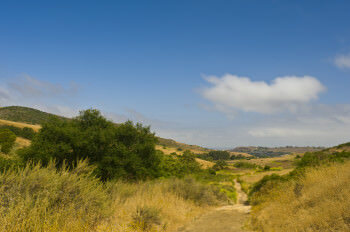 World-class nature experiences abound on the Irvine Ranch Natural Landmarks. Hiking, mountain biking, horseback riding, moonlit nature walks, wildlife viewing, habitat restoration and many more activities are conducted regularly under the leadership of trained Docents, Trail Guides, Land Stewards and other volunteers. If you love nature and enjoy helping others discover its beauty, Irvine Ranch Conservancy and other partners offer the ultimate outdoor volunteer opportunities throughout the Irvine Ranch Natural Landmarks. 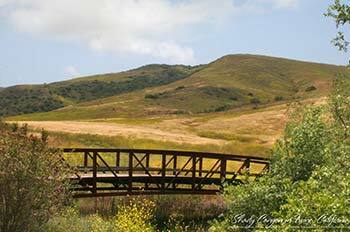 Become an ambassador of the land and play an important role in introducing visitors of all ages and backgrounds to the beauty and special nature of the Irvine Ranch Natural Landmarks. From single-day activities to a volunteer leaders, there are numerous opportunities to suit your interest and availability. If you are an OC Parks volunteer, or are interested in volunteering at an OC Parks facility, click here. The Orange County Fire Watch program is facilitated in partnership with OC Parks, City of Irvine, City of Newport Beach, Irvine Ranch Conservancy, and Orange County Fire Authority (OCFA). The volunteer program is managed by Irvine Ranch Conservancy staff, and its mission is to reduce catastrophic wildfires through education, early reporting and deterrence. The program supports the larger Orange County FIre Watch Network, a collaboration of fire watch programs such as the Fire Safe Council East Orange County Canyons, the cities of Anaheim and Laguna Beach among others. Irvine Ranch Conservancy and OCFA train volunteers and staff to deploy to specific locations determined by fire spread research, historical ignition data, and participant safety requirements. Deployment occurs on Red Flag Warning days, Santa Ana Wind events, and/or in other special circumstances. 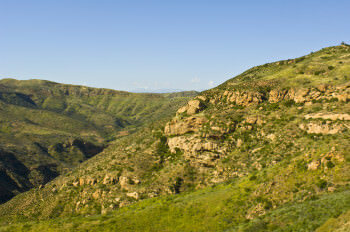 If you are interested in volunteering, please call 714-508-4700 or email firewatch@irconservancy.org.